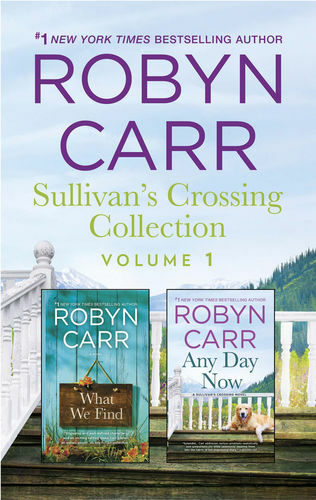 Join Robyn Carr, #1 New York Times bestselling author of the Virgin River and Thunder Point series, as she explores the healing powers of rural Colorado in the new Sullivan’s Crossing series, with the first two novels now available together in a box set. Under extreme pressure, neurosurgeon Maggie Sullivan knows she needs to slow down before she burns out completely, and the best place she can do that is Sullivan’s Crossing. But on arriving at the stretch of land and charming general store, Maggie finds she must take on an unexpected responsibility. When a quiet and serious-looking hiker, Cal Jones, offers to lend a hand, Maggie is suspicious of his motives—until she finds out the true reason for his deliberate isolation. As they spend time together, Maggie is given hope for something brighter in the future, if only they can learn to find peace and healing…and maybe even love. For Sierra Jones, Sullivan’s Crossing is meant to be a brief stopover. She’s put her troubled past behind her but the path forward isn’t yet clear. 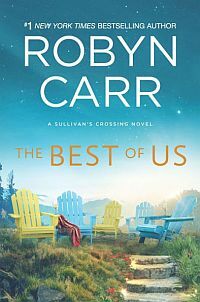 Cal and Maggie welcome her into their busy lives and she quickly finds herself bonding with Sully, the quirky campground owner who is the father figure she’s always wanted. But when her past catches up with her, it’s a special man and an adorable puppy who give her the strength to face the truth and fight for a brighter future. Sierra will learn to cherish the family you are given and the family you choose.